Home > Events > Special Events > 2 FOR $32 it’s NEW! 2 FOR $32 it’s NEW! 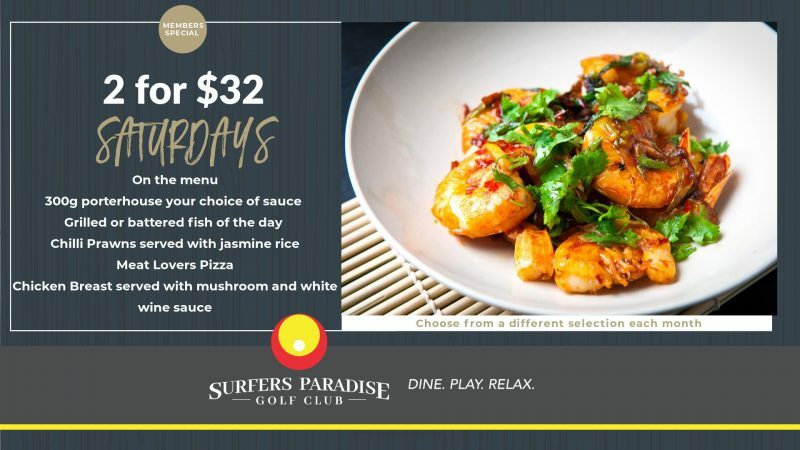 See you at the club every Saturday night for our new 2 for $32 members dinner special. Our Head Chef Matt has some exciting gourmet delights for you to try, and he’ll introduce a different selection each month. Chilli Prawns served with jasmine rice. Chicken Breast served with mushroom and white wine sauce.